What Really Motivates Consumers to Install Residential Solar? The same thing that motivates most buying decisions: price, reliability, and price. Raise your hand if you have solar panels on your roof. Even amongst the enlightened Greentech Media readership, it's likely a small percentage who actually have solar on their roof. There are some obvious obstacles: you might live in an apartment building or under a canopy of trees. But if you are a single-family-home owner -- what prevents you from pulling the trigger on installing a solar roof? You're informed. You know that performance and reliability have never been better and pricing has never been lower. What stops you from calling a solar installer and getting panels on your roof? SolarTech, working with San Jose State University, performed a survey of consumer perceptions about solar and came up with some not-so-surprising results. The survey polled 163 single-family residence owners in Santa Clara County, California to analyze their attitudes on solar. Santa Clara County is deep in Silicon Valley and a bellwether county in a bellwether state. Solar Tech does good work on streamlining the permitting and soft costs in the residential solar installation process -- but if demand is not there to begin with, then the residential PV industry has a big problem. Only 11 percent of the survey's respondents believed solar to be affordable, while 82 percent perceived solar as expensive. In a bit of a warning sign for the industry, only 6 percent of respondents were intent on making a purchase in the next year. Furthermore, 83 percent saw their purchase of a solar installation as being two years or more in the future. The "Level One" items crucial to the buying decision were price, reliability, warranty, customer service and financial incentives. Lower on the list were installation ease, return policy, aesthetic appeal, and modular design. Interestingly, at the bottom of the list were financing options and zero-down loans. SolarCity, Sungevity and SunRun seem to have made some consumer perception inroads if that's the case. On the subject of branding, 63 percent of respondents could not accurately recall any solar company that provides solar systems for residential use. Those that could name names came up with Akeena, SunPower, and SolarCity. Akeena is now Westinghouse Solar. 88 percent of the respondents believe that solar panels are good for the environment but affordability and reliability remain a perception issue. 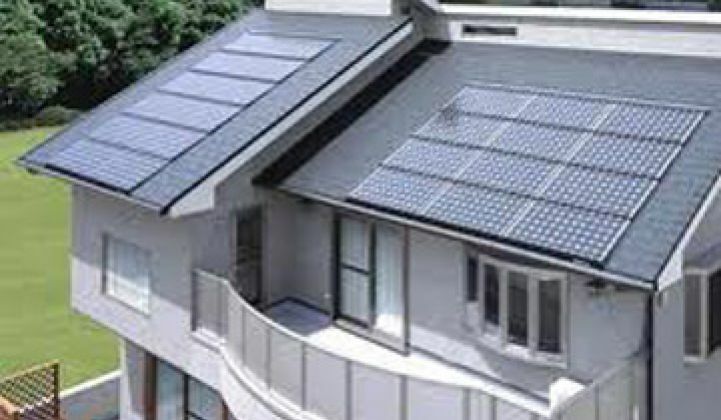 The residential solar industry has some enormous challenges ahead in marketing and getting past the early adopters and innovators and reaching the early majority of potential solar roofs. There's also the question of whether residential roofs are the optimum place for solar anyway. Doug Payne, SolarTech's Director came to this conclusion: "In terms of 'Where do we go from here?' -- as an industry we have to more clearly define "solar as a brand." What that means is the total product definition, a simpler value proposition, and clearer messaging to the broader consumer marketplace. At the moment, there are some great companies leading the way, but that in and of itself won't create a broader market." SolarTech has their Leadership Summit event at the end of the month.